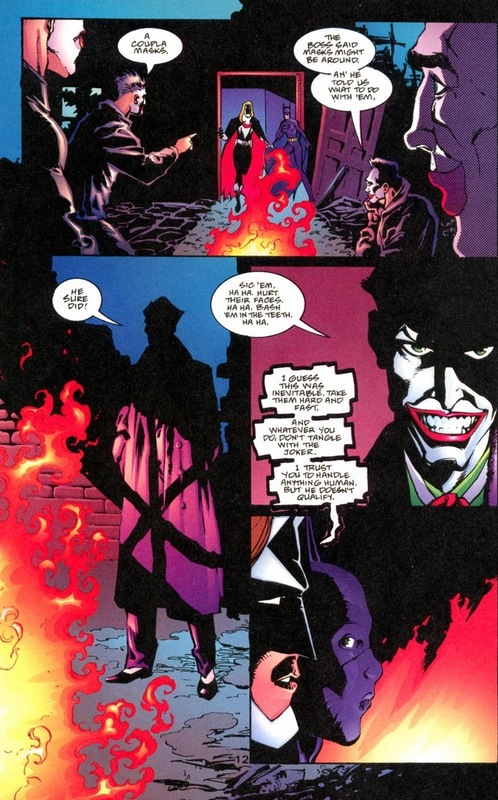 As the Batman family rushes to capture Joker as the year-long Batman event No Man’s Land concludes, each team member gets assigned a super important mission that pertains to their strengths and abilities. 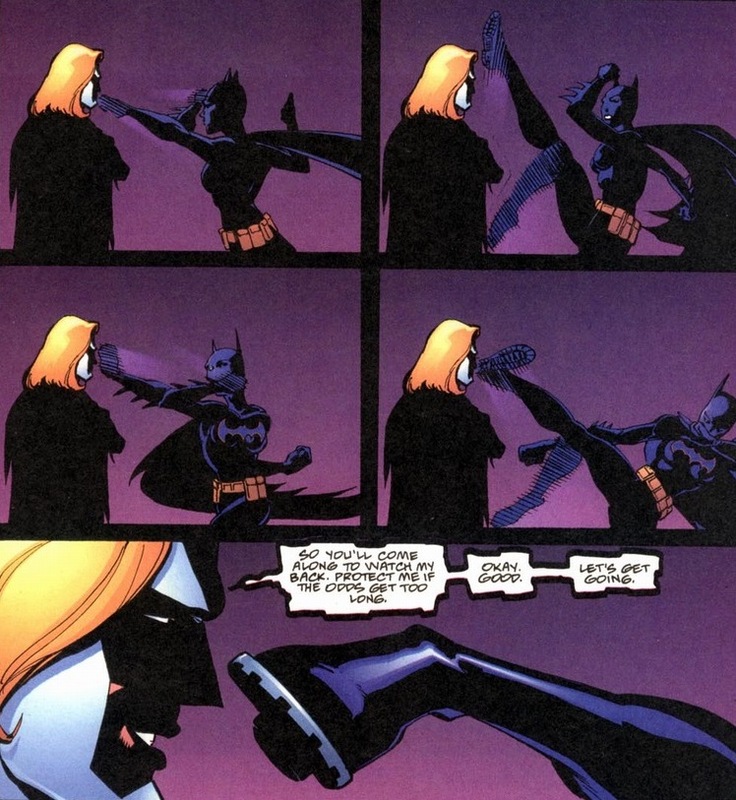 I’m kidding — Azrael and Batgirl have to tell people to leave the town. 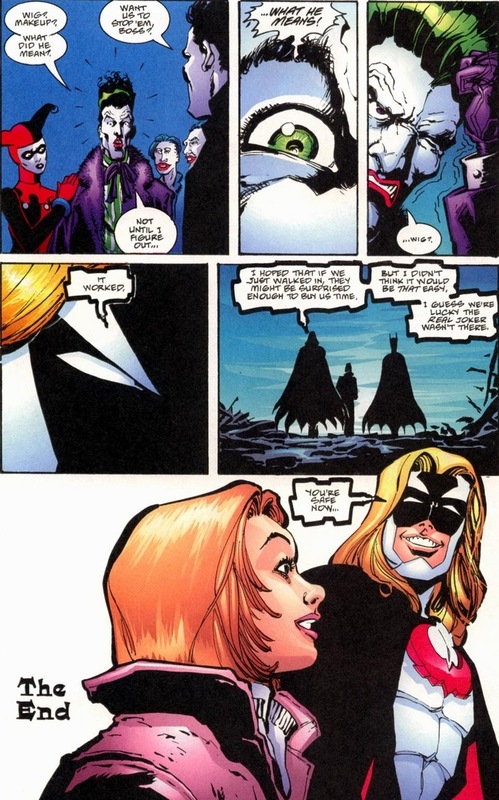 We’re talking Azrael, a man dressed like Fabio on the cover of a King Arthur-themed romance novel, and Batgirl, a girl who can’t speak to the point of just covering up the mouth part of the costume. Good luck to these two in Azrael #60, written by Dennis O’Neil and drawn by Roger Robinson. I understand the nature of comics: it’s a business first. If we watched the two of them spend the issue telling people to scram, sales would probably be a bit lower than if Azrael and Batgirl punch their way through a horde of henchmen. Well, fear not. 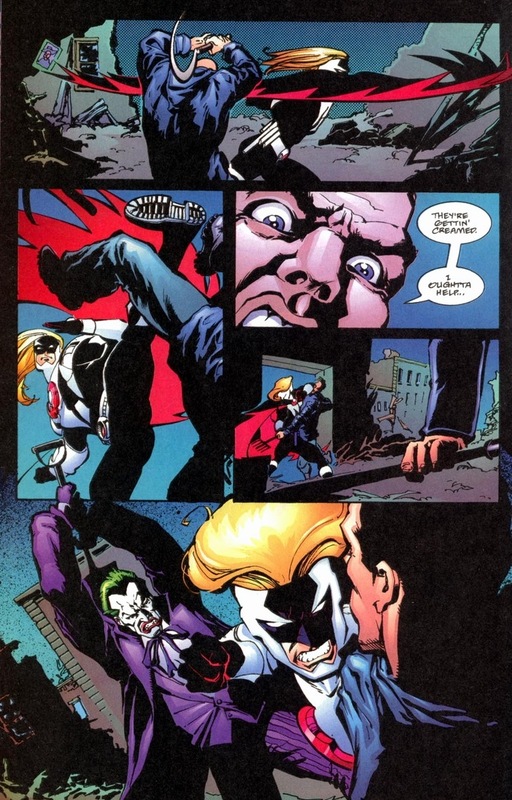 Because in the fictional world of comic books, it’s mandatory for superheroes to break the face of at least one bad guy every twenty pages. I didn’t make these rules up. So how about a group of clowns? And while we’re at it, let’s add the Joker. I know, I get it. 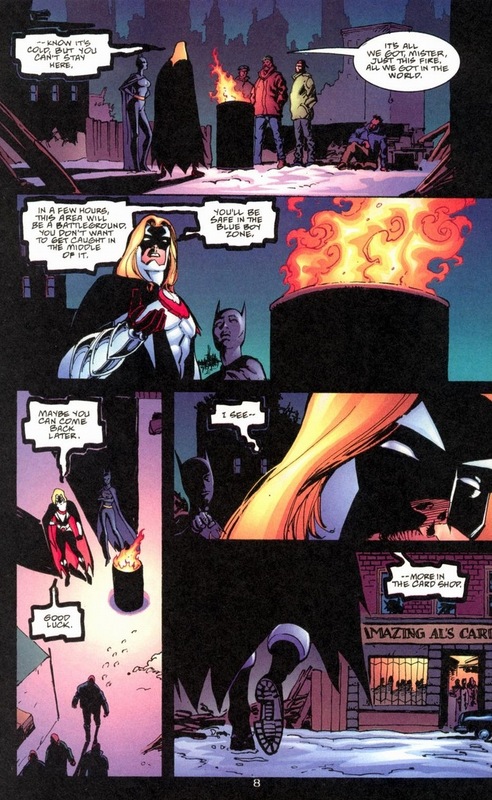 Azrael is the least funny person in the DC universe — don’t get upset, it’s part of his personality. And it’s even worse when he makes a joke directed to the second least funny person in the DC universe. 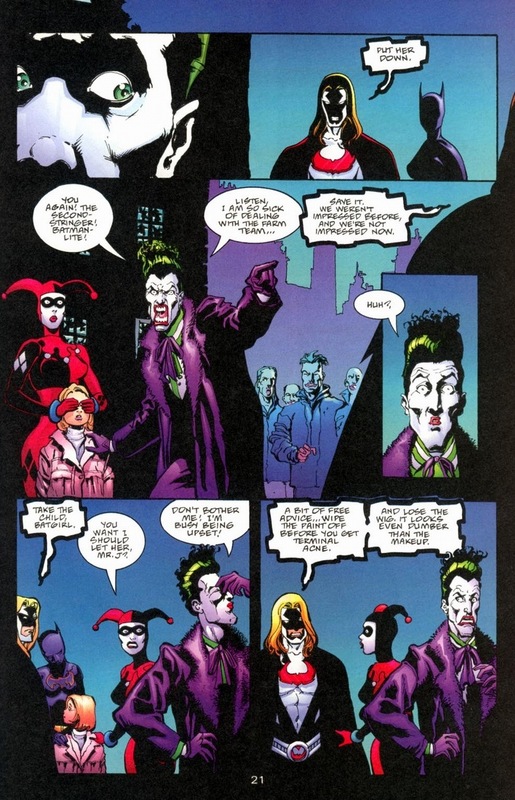 But you saw that kid they all forgot about a few pages up — she gets rescued by the Joker. 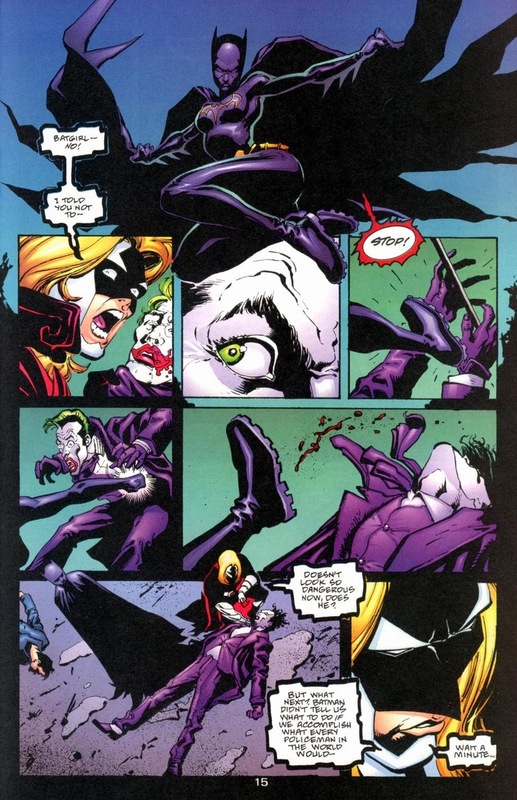 And by rescued I mean almost certainly a forsaken causality in whatever drives Joker’s amusement at the moment. You crave an exciting series of kicking and punching panels, but you don’t get it here. 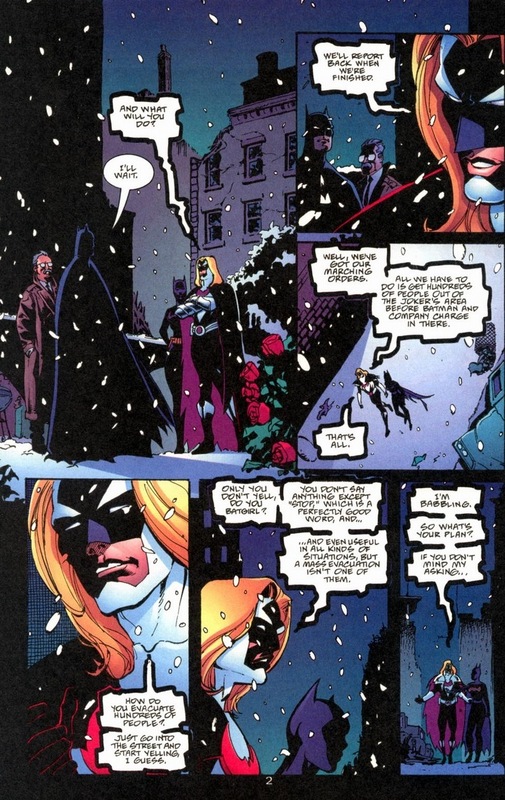 First, Batman doesn’t want anyone but him hurting his one true love, but also, Azrael’s far too naive. He’s not the detective that Batman or the Robins are. He goes by instinct mainly, and his horribly wrong instinct saves the day. 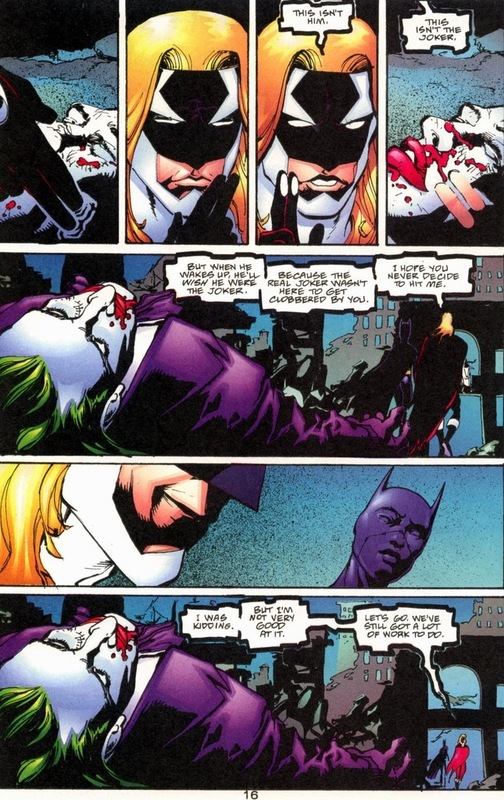 Because y’know, despite being a psychopathic killer, the Joker still has feelings. Next time, Azrael versus Bane for the second time! Get ready for tropical islands, inward character development, and all the drama you’d expect from a well-meaning crazy person and the his luchador arch-enemy. And full disclosure, I read everything Bane says as if Tom Hardy spoke it in The Dark Knight Rises. I don’t care if Bane’s South American, I love that voice. +1000000….I did the same thing when I read your Batman/Bane post. I even read it out loud to sharpen up my Tom Hardy Bane impression. I would pay him to read the dictionary if possible. Your site is dope, btw…. 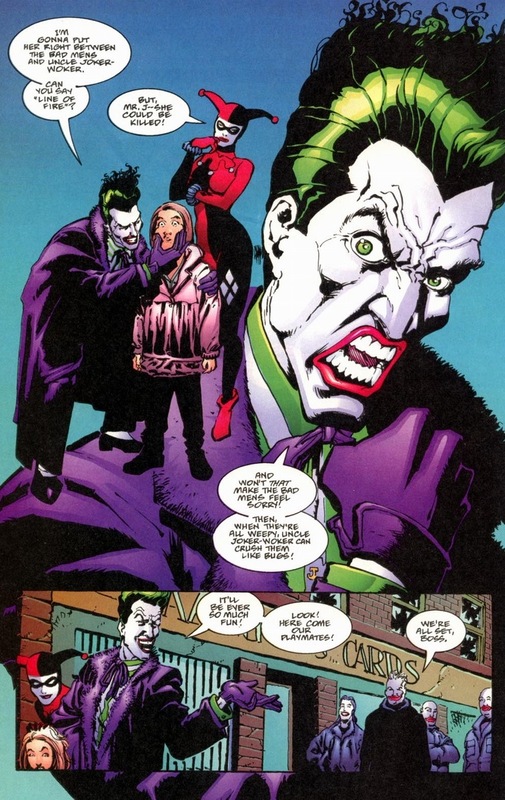 The look on Joker’s face when Azrael calls his hair a wig is priceless. As for Tom Hardy’s Bane, he sounded like a drunk Sean Connery. Danny Trejo (aka Machete) should have been Bane. He’s Hispanic, muscular, intimidating, and he spent several years in prison, so he would have been the perfect Bane. At least the Young Justice cartoon got it right and hired him to do Bane’s voice. FuryOfFirestorm, I can see where you are going with the Danny Trejo idea, but the man is 70. There are others who could have played him, I won’t bother with my personal list, but I don’t think TDKR even acknowledged that the character was Spanish. This article was fantastic. Now I really regret not getting into Azrael when I had the chance. Thanks for giving us this tasty morsel.